Our life is like a Thought. It comes, but if we don’t capture it, it’s gone. 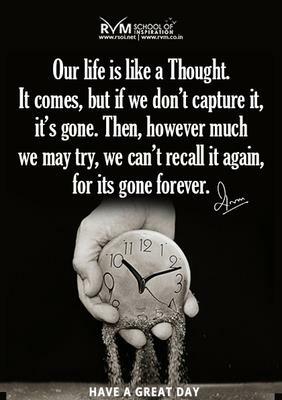 Then, however much we may try, we can’t recall it again, for its gone forever.